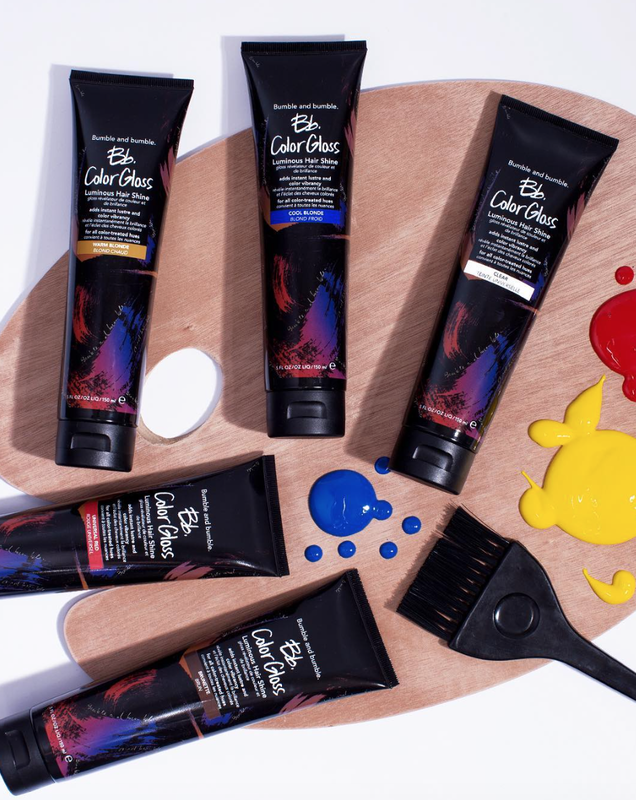 Bring that salon shine home with Bumble's new Color Gloss product! This glossifying treatment softens hair with their S-Complex and Slip Mix – plus, it revives your highlights, lowlights, single process, at-home color (or whatever); imparts prismatic shine up to 3 washes. This instant hue enhancer leaves the hair with a luminous hair gloss while also adding an instant luster and brilliant dimension, neutralizing unwanted tones. This new product comes in five colors! Cool blonde to neutralize brassy yellow-orange tones. Warm blonde that enhances warm golden tones. Red to awaken hidden red tones. Brunette to brighten those classic brown tones. Clear to add instant luster for color vibrancy. Don't know which gloss to pick? Have a stylist help you pick the perfect one! Come in and take this product home today!